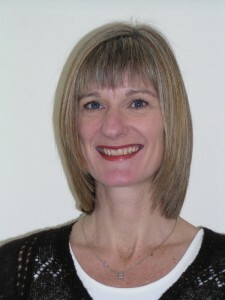 Liz Mansfield is an experienced trainer, facilitator and coach. She has worked in development roles in both public and private sector organisations, and specialises in management and personal development, trainer development and business management systems. Liz brings her passion for learning to all that she does, whether working with organisations, groups or individuals. She takes a delight in helping others reveal new insights and rise to new challenges that take them beyond what they might have thought possible. Liz helps individuals and organisations improve their communication and connectivity. She is able to work with both processes and people, and has a talent for bringing the two together for effective action and results. She gets a buzz from seeing great results come from small changes, and from helping people to realise they really can make a difference. Liz can energise and enthuse, listen and empathise, support and challenge. She develops and delivers training programmes and workshops that are challenging, stimulating and fun. As a coach, Liz helps clients define clear outcomes, understand themselves and their environment, and develop strategies and behaviours to achieve their outcomes. Liz makes time for her own development and growth; she is an NLP Trainer and Master Practitioner, has an MA in Human Resource Management, and is constantly engaged in both business related and recreational learning. She shares her life with her partner, cats and horses, fellow travellers on her ongoing learning journey.